Today I have been busy finishing off a squad of GZG 15mm Japanese Powered Armour. 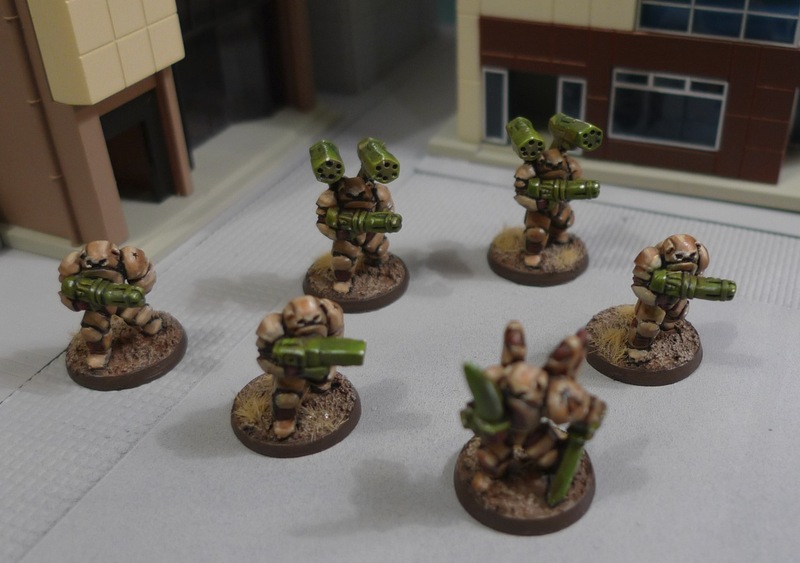 The Ground Zero games models were a pleasure to paint, very detailed and great design. I like the squat feel to these troops and the back mounted micro-missiles are sweet. I have some great ideas for a game using these chaps. As far as the painting is concerned I was going for "Speed Painting". However my speed painting is more like snail blazing than trail blazing and I can't help taking time to do the detail work. I did use a wash or dip technique to shade the figures, which speeds things up and forces me to stop obsessively colouring in everything in 20 shades. So these figures have only two shades of colour one base coat and one highlight. Every section including Armour, Weapons and details were completed using just the two colours before washing with a Games Workshop Ink wash. The result is more teddy bear than panda but I am happy that these are a good gaming standard for the table. If I paint another set of them I might actually put Panda colours on the heads, to make the two units different on the table. I painted the weapons in a bright green which makes them stand out on the table. I think I can get away with the bright colours due to the mecha nature of these Japanese troops. Next on the painting plan are a mix of GZG and Old Crow vehicles and walker drones. 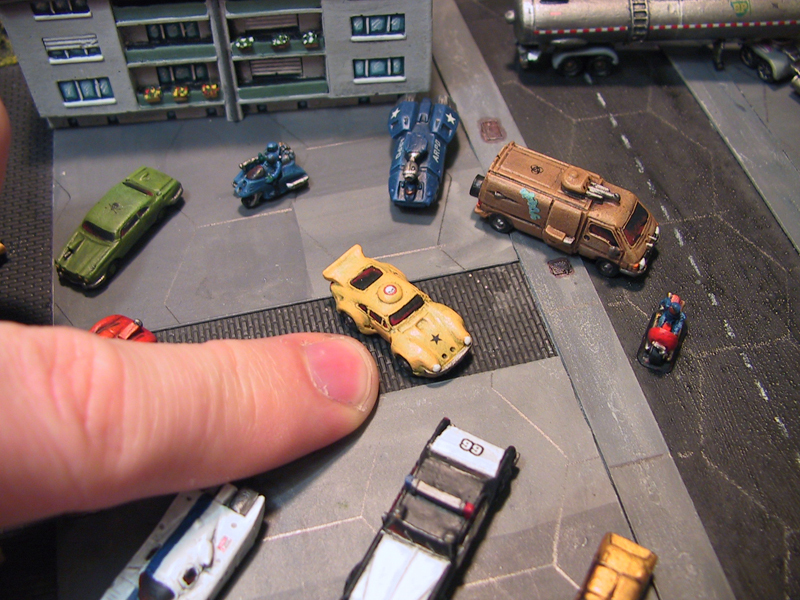 Great minis and a great paintjob. You have a great blog going here and the vids are very nicely done. Particularly enjoying the Warmachine and Hordes ones as its a top game. Thanks for the kind comments. Hoping to do more video work this year and improve the quality. 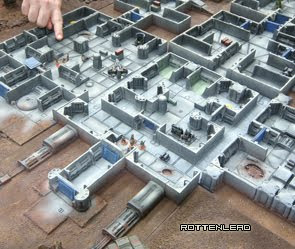 Great instructional video, and great paint jobs as well! I really like the close camera work that you did to clearly show each step in the process. Looking forward to checking out more of your videos and hope to get your game to the table soon! great I really enjoyed that. A good talk through and some handy tips.